New England Patriots quarterback Tom Brady and wide receiver Julian Edelman posted a video of themselves on the “Toy Story” ride at Disney World in Florida after the big game. Edelman won the Super Bowl MVP honor after Sunday’s win over the Los Angeles Rams. “These are not the droids you are looking for… #WaltDisneyWorld,” Edelman, 32, captioned the photo of the two as they held lightsabers. The wide receiver caught a total of ten passes and gained 141 yards in Sunday’s game, helping the Patriots seal their 13-3 win, according to NESN. 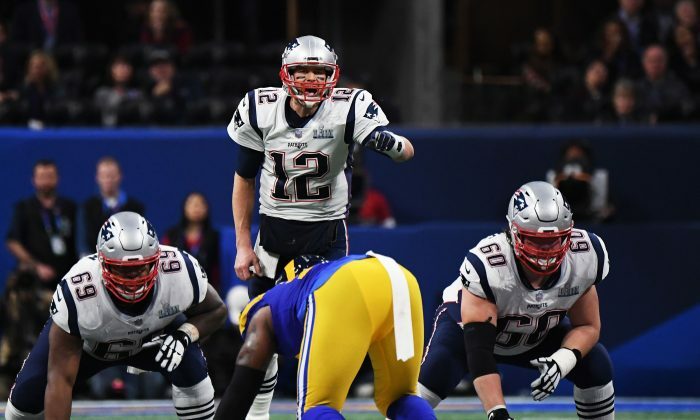 “He’s an elite player, plays hard, found some holes in our defense in the first half and pretty much the third quarter,” Rams nose tackle Ndamukong Suh told NESN of Edelman. “In my opinion, just thinking back, we eliminated him, even though he got yardages. We just have to not allow points to get on the board and give our offense more opportunities to score,” he added. Meanwhile, Patriots coach Bill Belichick on Monday credited a sports writer for originally finding Edelman, who wasn’t a receiver coming out of college, but a quarterback. Brady quickly made it clear that winning a record sixth Super Bowl title won’t change his mind about playing at least another year, according to The Associated Press. The Patriots have long defied odds and continue to rewrite history by sustaining their success for two decades. Brady and coach Bill Belichick are 6-3 in Super Bowls since 2001 and have won 10 straight AFC East titles, accomplishing eight conference titles games in a row. They’ve posted a winning record in 18 consecutive seasons, reaching the playoffs 16 times, winning 16 division titles and nine AFC championships.